The Incredibles 2 is poised to become the biggest animated film ever, after a third strong weekend at the domestic box office. The Disney/Pixar sequel grossed $45.5 million over the weekend, according to studio estimates Sunday - dipping only 43 percent and finishing second to the sophomore weekend for Universal's Jurassic World: Fallen Kingdom ($60 million). In total, Brad Bird's second Incredibles film has grossed $440 million domestically and $647 million worldwide, according to Box Office Mojo. That makes Incredibles 2- which again stars the voices of Holly Hunter and Craig T. Nelson as the superhero parents - the second highest-grossing Pixar film ever in North America and the third biggest animated film ever, before adjusting for inflation. The Incredibles sequel should soon pass 2016's Finding Dory ($486.3 million) as the biggest Pixar film and the biggest animated film. Disney now has six of the seven highest-grossing animated movies ever in North America before adjusting for inflation; the only non-Disney film in the mix is DreamWorks Animation's Shrek 2 ($441.2 million). 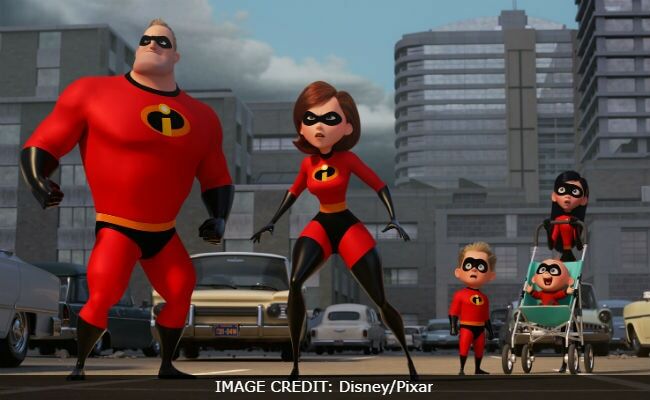 Domestically, Incredibles 2 is also the third biggest movie of the year, trailing only two other Disney superhero movies: Black Panther ($699.8 million) and Avengers: Infinity War ($672.5 million).